We recently had the opportunity to try Magana Color I love the fact that it uses magnets and the color dots are reusable. It is kind of like a light bright but with magnets that you use a pen to insert. In my opinion that makes all the difference for little hands. 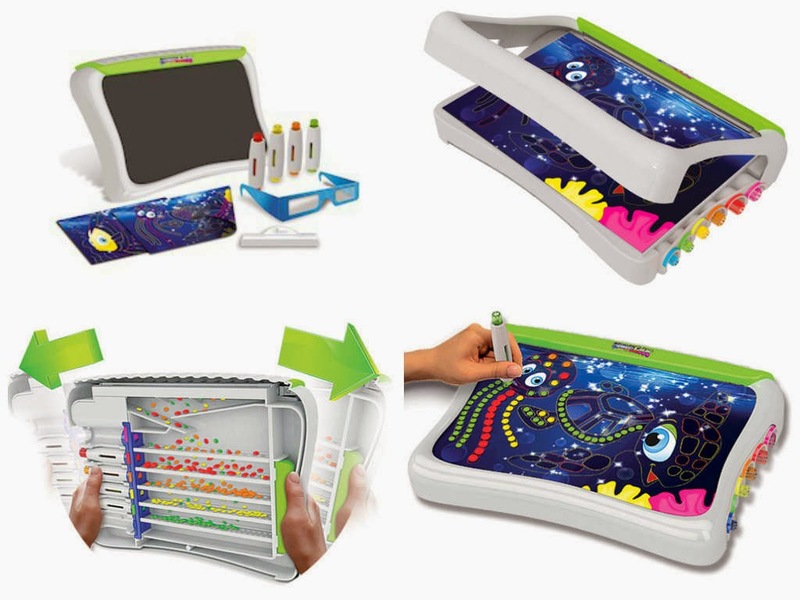 My kids struggle with pushing in those pegs with magna color you use color labeled pens and the colored dots are auto sorted to make pictures. Magna Color comes with several pages like a fish, an octopus lots of cute scenes to create with! My boys are 3 and 5 and they actually could both use the Magna Color very well and my littlest is actually enjoying learning his colors while playing! I love any toy that you can use to educate with and not only can you use Magna Color to teach colors, but words, numbers anything you can create you can display and use the Magna Color to teach with. I plan to use this with my 5 year old on his spelling words he is learning small words like me, I and this will help! I have found that toys make learning so much more engaging for kids. Check out below the diagram that shows a little more about how Magana Color works 9 I tried to explain but even I was having a little trouble with getting the greatness of how Magna Color works; hope this helps)! I am recommending Magna Color as a 2013 Holiday Gift Guide great find! This would also be great if you homeschool! 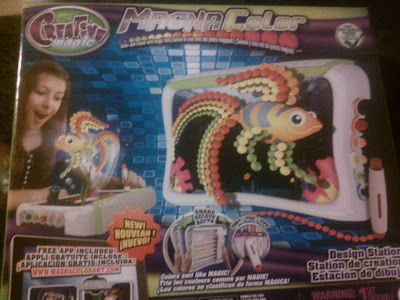 Check out Magna Color on facebook and go to Magna Color's website to purchase here https://www.magnacolorfun.com/ and for info on the 3D side of Magna Color go here http://www.3dmagnacolor.com/! Magna Color just concluded a contest on their facebook page so maybe they will have a another I guess we have to follow to find out! 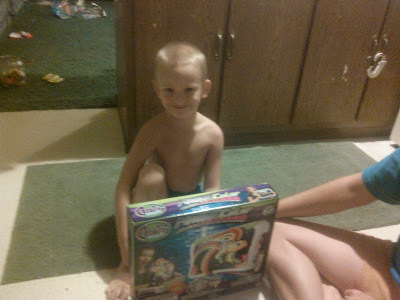 Christian couldn't wait to open Magna Color look how happy he was!